Eleven college students and recent college graduates are headed to paid copy editing internships at media groups and daily newspapers after completing 10 days of intensive preparation at The University of Texas at Austin. The highly competitive national program is funded by the Dow Jones News Fund, and participating newspapers and digital media services. More than 900 students applied for the program. Applicants were required to take a test and complete an extensive application before being considered. The School of Journalism at UT Austin, one of four pre-internship training sites for print and online copy editors and designers, has been part of the News Fund program since 1998. Newspaper professionals, visiting faculty and UT journalism faculty moderated the sessions in this 19th residency program at UT Austin. In the latter half of the pre-internship training, participants produced three issues of a live model newspaper, the Southwest Journalist, as well as a companion online product, swjournalist.com. Directing the UT workshop were Beth Butler and Bradley Wilson, co-directors, and Lourdes Jones, senior administrative associate of the UT School of Journalism. Faculty included Griff Singer, retired senior lecturer from The University of Texas at Austin; Mark Grabowski, associate professor at Adelphi University; Shane Graber, doctoral candidate at the UT School of Journalism; and Linda Shockey, manager of digital media and programs at the News Fund in Princeton, New Jersey. 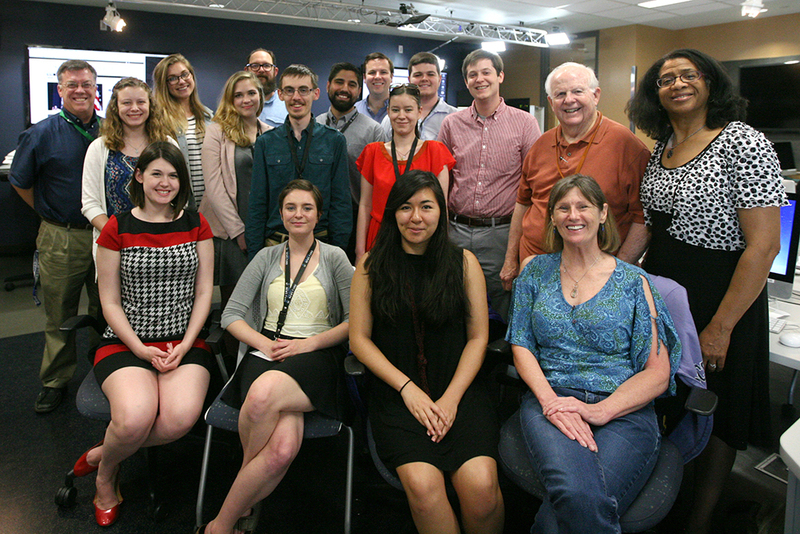 Students also had the opportunity to visit with staff and managers at the GateHouse Media Center for News and Design in Austin; Dan Cunningham, senior editor of the Houston Chronicle; and R.B. Brenner, director of the UT School of Journalism. Other newspaper training centers were at Temple University, the University of Missouri and Pennsylvania State University. A digital journalism workshop was held at Arizona State, and a business reporting workshop was conducted at New York University.